Our teacher says that it is an interesting question and she gives this explanation, “It is absolately normal that you don’t remember the new word immediately. Usually, you will have to look up the word 5 times before you remember it. There will be also words which you will have to look up 10 or 15 times. These words are usually verbs. When we learn a new word, the word goes through phases. Only when you achieve the last phase, you remember the word very well. There are five of these phases. Let’s have a look at them. The first phase is the moment when you see the word for the first time and you don’t know the word. You look it up in the dictionary. The second phase is the moment when you see the word which you already looked up in the dictionary or heard or saw it in the past. You know that you saw this word before, but you still don’t remember its meaning. You look at the word again. The third phase is the moment when you see the word again and you feel what it could mean but you are not sure. For example, you know that the word is some kind of object or some animal or a verb. The fourth phase is the moment when you already know what the word means when you see it but you are not able to recall the word when you want to say it. When this phase happens, the word is in your passive vocabulary. The fifth phase is the moment when you are able to use the word when you speak. Now you can see there are five phases all together. Do you understand now why it is not possible to remember a new word when you see it for the first time? You would have to jump across all the phases with the first encounter with the word. You have to see or hear every word several times and let it go through all the phases until you get to phase number five. All of this is interesting to me. I didn’t know about these phases, but it is all logical. It also happened to me that I looked up a new word in the dictionary but two minutes later I didn’t know what the word was and I had to look it up again. I felt stupid that I didn’t remember the word. Now, I know that it is absolutely OK not to remember the word forever when I see it for the first time. 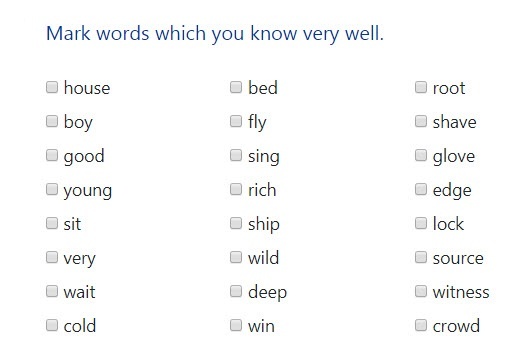 I need to see the word many times before I can use the word well. After school, I go to my football training. Our coach tells us that there will be a match on Saturday. The school team will play against another school team from Cambridge. Our coach tells me to come and play for the school team. I am very happy and I am looking forward to the Saturday match. When you want to remember a new word, you need to see or hear the word about ten times.